I have a confession, I do not like going to the nail salon. I am thee most ticklish person ever, truly ever. So between giggling like a school girl and shrieking in pain when my cuticles are being attacked, I have learned that the nail salon isn't for me. That in no way means that I have learned to live with ugly nails, absolutely not. 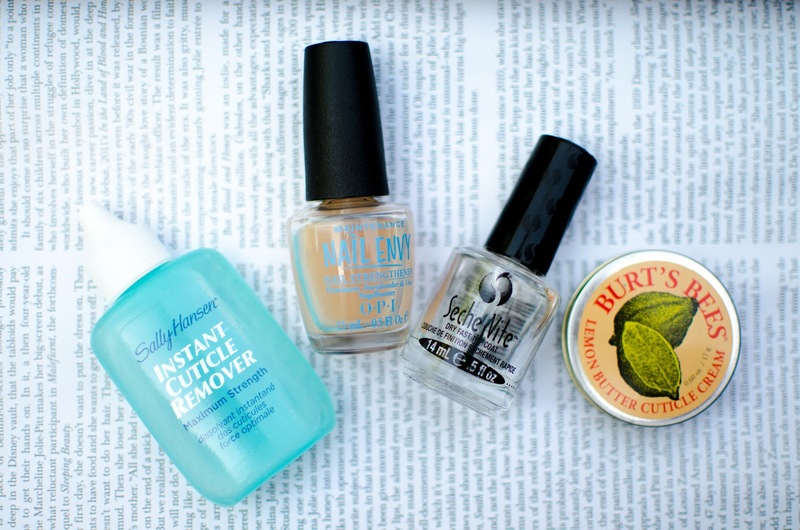 Over the years of avoiding the nail salon I have picked up some of my own products that give me that same salon look but with the freedom to change my nail polish whenever and save hundreds of dollars. 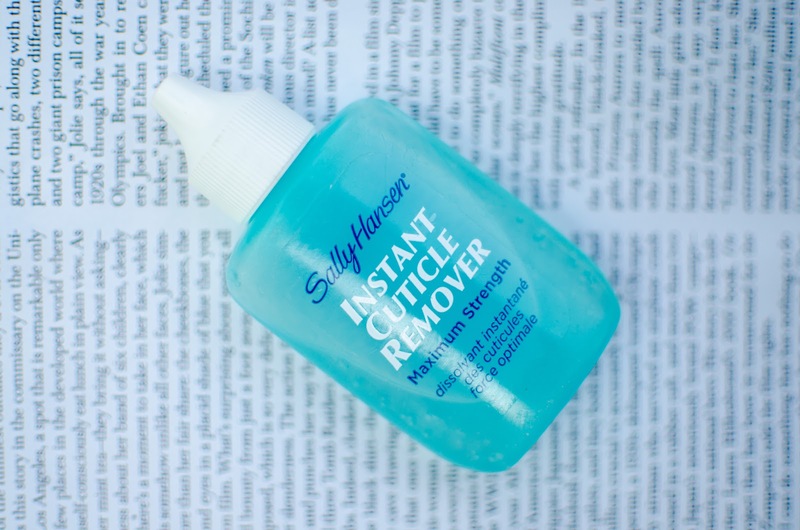 Starting with the Sally Hansen Instant Cuticle Remover, I dot each of my cuticle bases with a tiny amount and then push it back using a tool and simply clean it up using a cuticle trimmer. Immediatley after, I wash my hands to remove all of the excess, often times using a nail brush. I am a firm believer in the power of a good base coat. OPI Nail Envy has been my go-to base coat ever since I began to notice my nails peeling and becoming thinner. Now just one coat of this protects, strengthens and hardens my nails. If you want to have that gel manicure look all you need is two coats and you'll have solid nails (be warned you will get asked all of the time if they are gel or shellac). 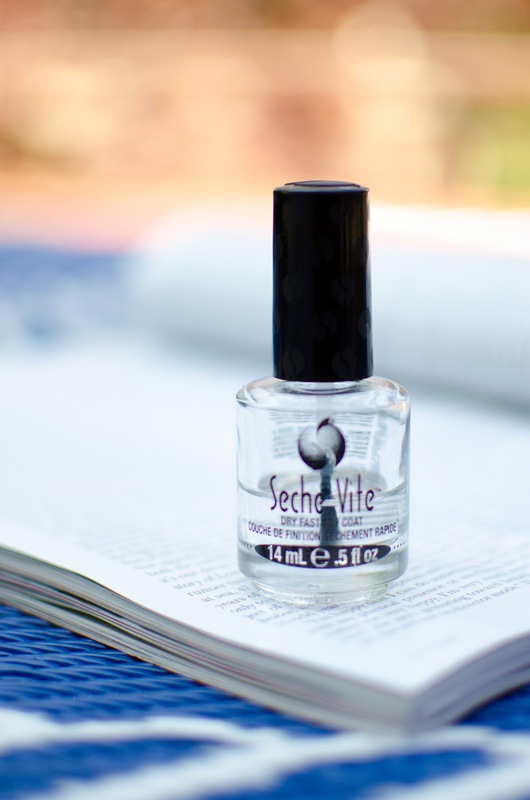 After I have applied the color that I have chosen, whether that be one or two coats, I use the Seche Vite Dry Fast Top Coat. This top coat is brilliant! My nails are shiny and the best part, they are dry at least twice as fast as when I don't use it. 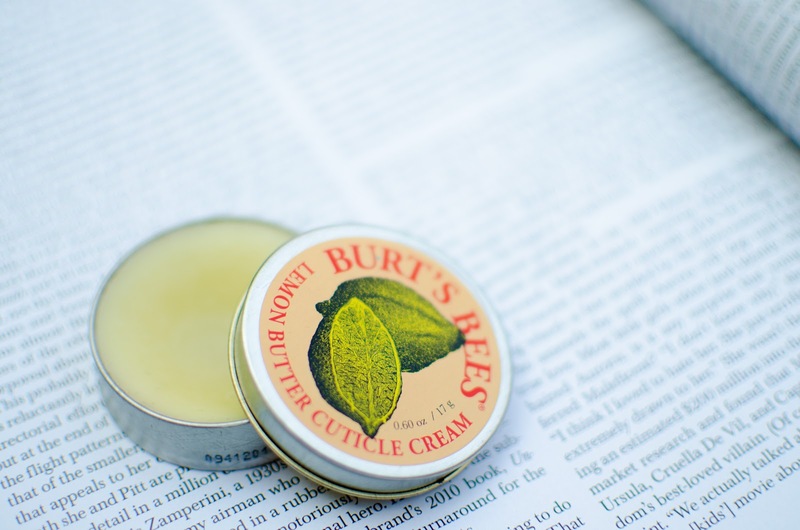 All week long I like to apply the Burt's Bees Lemon Butter Cuticle Cream. It is a balm like consistency, that smells just like lemons. It keeps any dry, cracking from creeping up on me. With this process I get a steady chip-free week! I often find that when I am ready to change up my color that my nails are still in tip top condition. Are you a nail salon regular, or do you consider yourself a DIY manicurist?